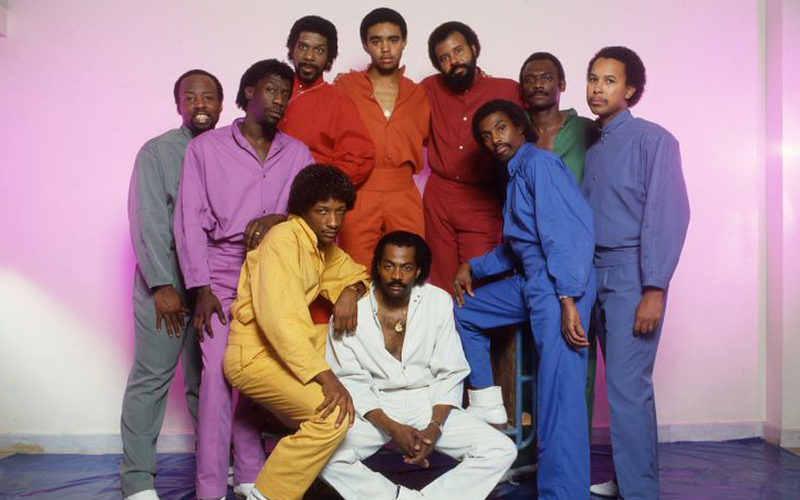 Kool & the Gang are an American funk and rhythm and blues band that was popular in the 1970s and 1980s. The band consisted of Robert “Kool” Bell (bass), Ronald Bell (keyboards), Robert Mickens (trumpet), Dennis Thomas (saxophone), Ricky West, George Brown (drums), and Charles Smith (guitar). The band’s debut album, Kool and the Gang (1969), produced three hit singles on the pop and R&B charts of Billboard magazine. Wild and Peaceful (1973) gave the band three more hits: “Funky Stuff” in the Top 40 pop chart and “Jungle Boogie” and “Hollywood Swinging” in the Top 10. The latter two songs sold over one million copies and were certified gold by the Recording Industry Association of America (RIAA). The band remained productive, with albums coming out in 1974 (Light of Worlds) and 1975 (Spirit of the Boogie). In 1979, James “J.T.” Taylor joined as lead singer. Kool and the Gang starting working with Brazilian fusion musician Eumir Deodato as producer, and they moved away from funk and closer to rhythm & blues and pop music. The songs “Ladies’ Night” and “Too Hot” were hits and the album was certified platinum by the RIAA. Even more successful was the album Celebrate! (1980), also produced by Deodato, also certified platinum, giving Kool and the Gang its first number one hit (“Celebration”), which Robert Bell called “an international anthem”. More international hits followed in the early 1980s, including “Big Fun”, “Get Down on It”, and “Joanna”. The album Emergency (1984) yielded four Top 20 pop hits, including “Fresh” and “Cherish”. In 1988, Taylor left the group to pursue a solo career. He was replaced by three vocalists: Sennie “Skip” Martin, Odeen Mays, and Gary Brown. He returned for State of Affairs (1996).